Whilst money is tight for many of us, a Junior ISA can be opened by a child’s parents, but anyone can contribute money into it. Many parents with older children who were given up to £500 by the Government to start a Child Trust Fund are asking friends and family to contribute to a Junior ISA for their younger child to give them the same start in life. This is becoming popular as an alternative to the traditional christening gifts and is often more welcome than the ten tooth fairy jars – especially with the chance of a higher return than a pound under the pillow! The money in the account belongs to the child and can’t be taken out until they are 18 after which time the child has the option to cash in the investment or transfer to an adult ISA. Many parents prefer this as they know the money will be definitely be available when the child reaches maturity and avoids any possibility of the money being used for other things in the meantime, especially if there is debt to be cleared or an alternative to a loan. There are some parents who are uncomfortable with the concept of the child being able to access the money at age 18 and do whatever they want with it without parental consent. For those parents who would prefer to keep control of the funds, they can open an Adult ISA, utilising the same investment choices. This will mean that the £3600 tax break available through investing in a Junior ISA is lost to them, but if they are not utilising the maximum savings limit of £10,680 for each adult, then this may be more preferable. So, whichever option you favour, make sure to act before the 5th April before the taxman gets his hands on more of your children’s future! 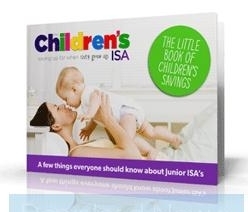 This entry was posted in Child ISA, Junior ISA Savings, Junior Stocks & Shares ISA. Bookmark the permalink.